Lubricants manufacturer Rocol has added a nuclear grade approval and a brand new product to its REACH-registered anti-seize range, providing maintenance managers with a safety compliant solution, whatever the application. 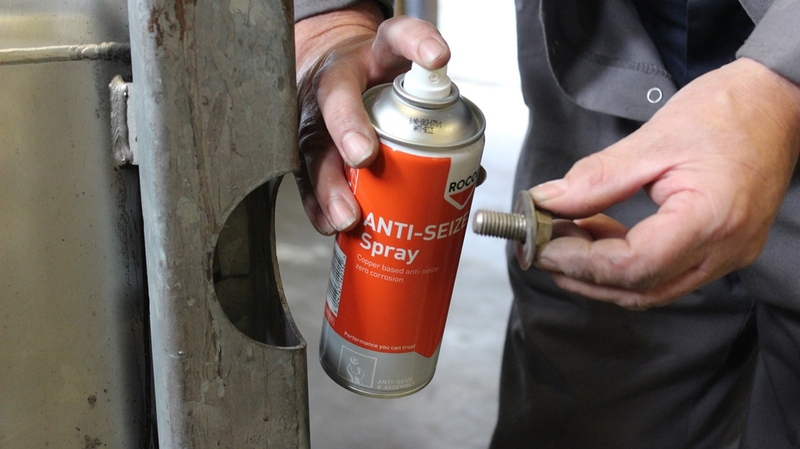 The new Rocol Anti-Seize Regular Grade product and nuclear grade approval for Anti-Seize 797 joins a 15-strong range that features products such as the Dry Moly Spray. Rocol Anti-Seize Regular Grade is designed to avoid seizing in mechanisms and threaded connections. Offering superior vibration, pressure and temperature resistance, it is suitable for use in aggressive environments, where it protects against fretting to ease dismantling and also acts as a sealant to prevent fluid and gas contamination. Anti-Seize 797 is a high temperature anti-seize paste specially formulated for nimonic and stainless steel which is manufactured to the highest purity – nuclear grade. It offers excellent anti-seize properties over extended periods at high temperatures and protects against wet conditions and chemical attack even in the most aggressive conditions. With extremely low levels of chlorine and sulphur, it is suited to lubrication, protection and to ease dismantling in nuclear environments.